Literally, life is a game that everyone participates in. We all play, complete our own tasks, meet meaningful and mature people over time. The best players are the most successful. 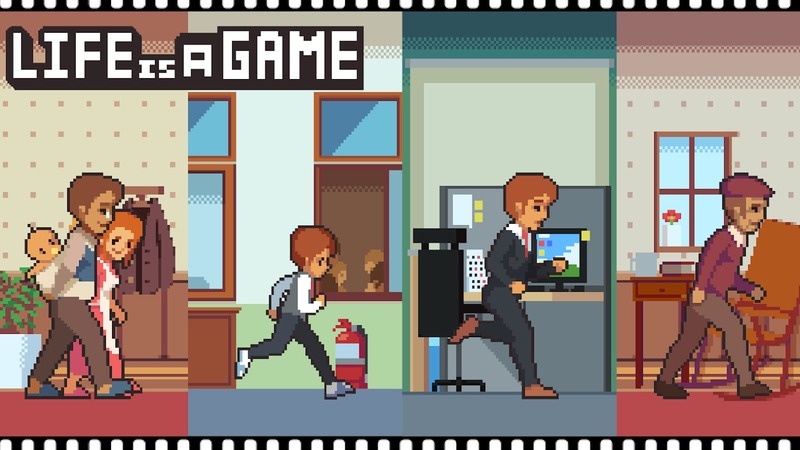 In Life is a Game (MOD Unlimited Gold/Diamonds), a person’s life is simulated by a marathon, and players can decide their future with just a few touches on the touch screen. After choosing a character, you are the one who decides the life of a person since he (or she) is born until he gets old and dies. Starting from a newborn baby. Of course, at this time you cannot go yourseft and need the help of your parents to gather the things needed for life. What does an infant need? Surely he needs a full diet (simulated with milk bottles). You need to touch the screen to jump up, collect the bottles to help the child have the best growth in adulthood. Youth is an important time for every human being. This time affected a lot when they grew up. This is also the time when we have many good memories. At this time, there are many choices for you. If you spend a lot of time drawing, you can become an artist or a person working in the arts when you grow up. If you collect many balls, chances are when he grows up he will become a professional football player. Basically, time management is the key to winning this game. Although later, everyone has more attractive choices such as money, girlfriends, work, … but in the end, good managers of time can have a better life. 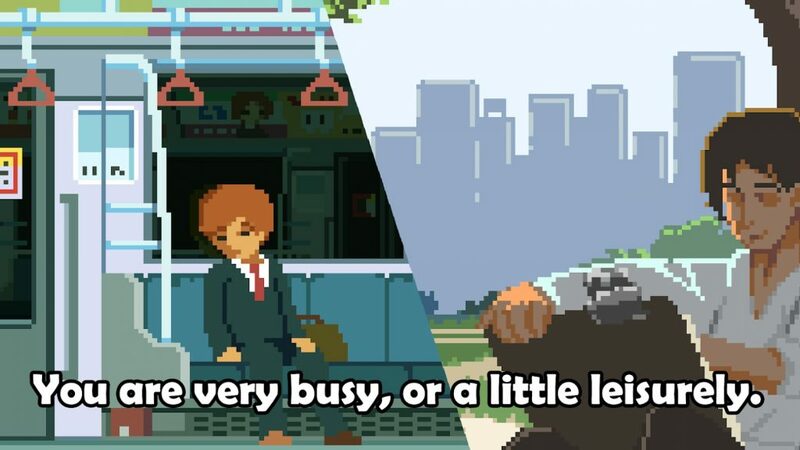 Are you a hardworking or lazy person? Rich or poor? A person with many friends or a lonely person? 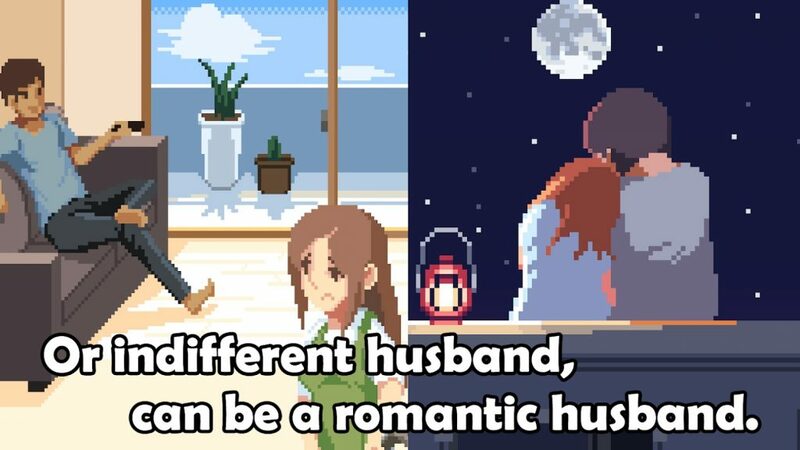 A heartless husband or a romantic husband? It all depends on you. After choosing your passion, you need to manage your time well during high school. At this time, try to collect as many symbols as possible to your character. For example, if you choose to be passionate about players, you will be happy to play with the ball and get bored if you have to read a book or use the computer. Besides, mood and health are two things that you need to keep in mind. According to statistics, everyone lives about 70 to 80 years. And the number of years of a person in Life is a Game is no exception. Your character can increase by a few years if you have a happy life. When you get old, your health is weak but you can have a lot of money, a high-class apartment or write a book yourself. After the end of a life, you can continue to choose other characters and play again from the beginning. In adulthood, players can search for girlfriends by choosing one of the girls you met at the office, school or gym. After that, you and she can get married, give birth to children and continue their work until you get old and retire. When you’re married, you need to spend a lot of time with your wife and children or she may feel frustrated and leave you. Although Life is a Game has interesting and in-depth gameplay, but the game only has simple 2D graphics like the Mario game. Good sound, bright images, everything in the game is described in a fun way and quite similar to reality. For me, this game is a lesson that helps us realize the value of life. How to have a happy life? How to manage my time? Not only in games, it’s also something you need to find answers in real life. In Batman Begins there’s a saying that I really like. “It’s not who you are underneath, it’s what you do that defines you.” Now, try to create a happy and meaningful life in Life is a Game. 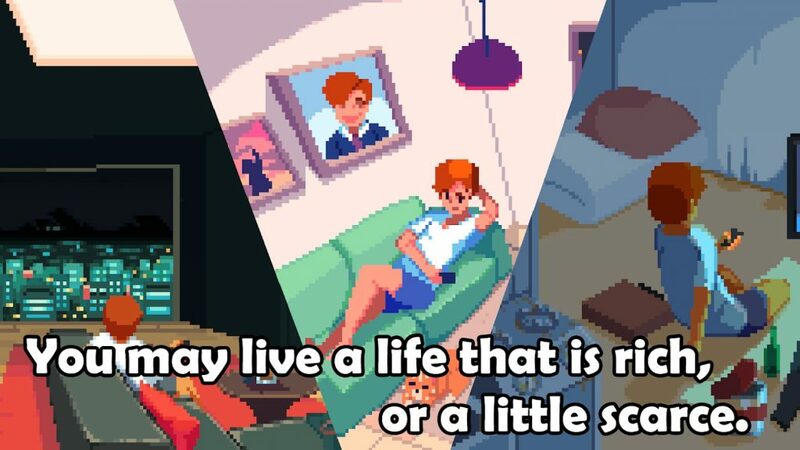 Life is a Game MOD APK is ready to download! 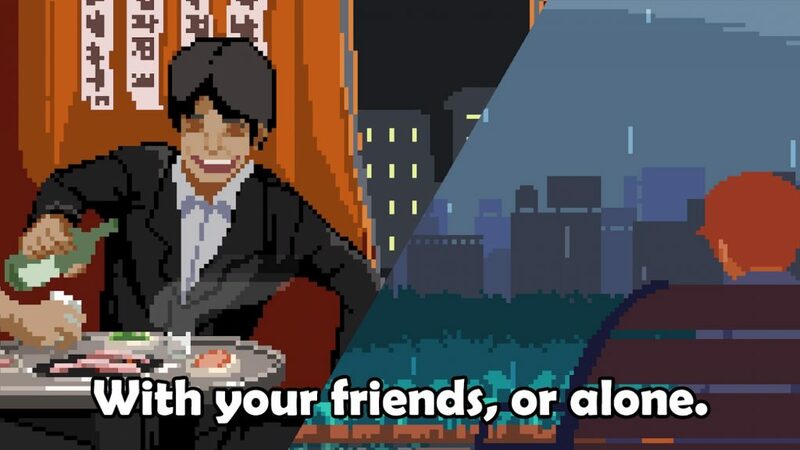 Depending on your needs, you can download Life is a Game MOD APK or Life is a Game Original APK. Or install from Google Play / App Store if you want.